Unity Boost WAN Optimization is an optional WAN Optimization performance pack for Silver Peak Unity EdgeConnect SD-WAN edge platform deployments. Boost combines Silver Peak WAN Optimization technologies with EdgeConnect to create a single, unified WAN edge platform. When branch offices are deployed as part of a broadband or hybrid WAN, customers may require higher performance for specific latency-sensitive or data-intensive applications, for example, accelerating replication data over distance for disaster recovery. With the click of a button in the Unity OrchestratorTM management application, customers can enable Unity BoostTM and add application acceleration where it is needed. Data Reduction: Data compression and deduplication eliminates the repetitive transmission of duplicate data. Silver Peak software inspects traffic at the byte-level and stores content in local data stores. Advanced fingerprinting techniques recognize repetitive patterns for local delivery. Data reduction can be applied to all IP-based protocols including TCP and UDP. However, sometimes additional performance is needed for specific latency-sensitive or data-intensive applications or locations. 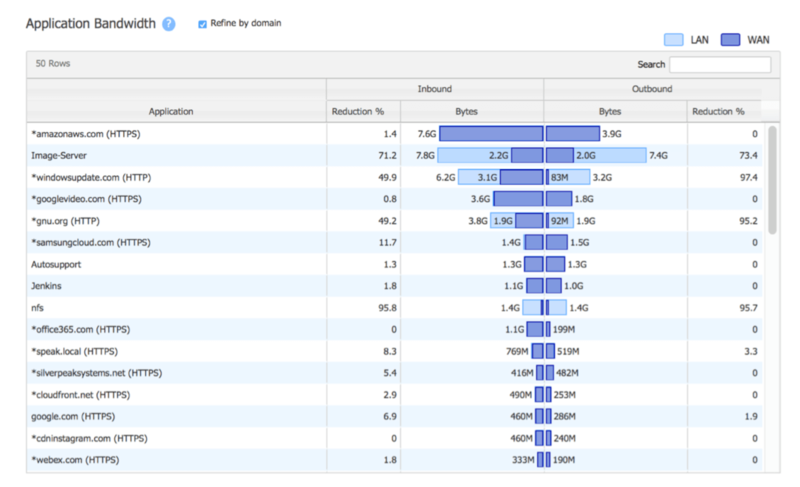 As the distance between locations increases over the WAN, application performance degrades. This has less to do with the available bandwidth and is more about the time it takes to send and receive data packets over distance and the number of times data must be re-transmitted. Customers replicating to a disaster recovery (DR) site located thousands-of-miles away might want to add Boost to achieve efficiencies in bandwidth cost and time to replicate without compromising recovery point objectives (RPOs). Enterprises with remote sites located in rural areas or with sites that are exceptionally far away from the company’s data center might want to add Boost to overcome the adverse effects of high latency. Figure 1: With a single mouse click in the Orchestrator GUI, Unity Boost enables customers to add application performance where and when it is needed. The time it takes for information to go from sender to receiver and back is referred to as network latency. Since the speed of light is constant, SD-WAN latency is directly proportional to the distance traveled between the two network endpoints. Silver Peak offers a variety of application acceleration techniques to mitigate WAN latency, which include Window Scaling, Selective Acknowledgement, Round-Trip Measurement, and HighSpeed TCP (HSTCP). Windows and other applications that rely on the Common Internet File System (CIFS) often take longer to perform common file operations over distance, such as retrieving and sharing files. Boost helps these applications not only by improving the underlying TCP transport, but also by accelerating CIFS through CIFS read-ahead, CIFS write-behind, and CIFS metadata optimizations. As packets flow through Silver Peak EdgeConnect appliances, Boost inspects WAN traffic at the bytelevel and stores content in local data stores. As new packets arrive, Boost computes fingerprints of the data contained within the packets, and checks to see whether these fingerprints match data that is stored locally. If the remote appliance contains the information, there is no need to resend it across theWAN. Instead, specific start-stop instructions are sent to deliver the data locally. This accelerates data transfers and avoids unnecessary consumption of WAN bandwidth. Boost is an optional performance pack for EdgeConnect SD-WAN deployments. With Boost, customers gain the flexibility to enable enhanced WAN optimization capabilities where and when it is needed. It can be ordered on-demand to create a single, fully integrated solution. Boost is licensed per-megabit-per-second, per-month, so customers do not have to pay for WAN optimization across the entire network. It is an enterprise-wide license that can be moved and used as needed, even as locations or application acceleration requirements change. If requirements change, the amount of Boost bandwidth assigned to a site can be changed easily through Orchestrator, and that bandwidth may be re-allocated flexibly elsewhere in the network. Extensibility: Fully compatible with existing WAN infrastructure hardware and transport services, customers can rapidly and non-disruptively augment or replace their MPLS networks with any form of broadband connectivity. Furthermore, customers can replace conventional routers with EdgeConnect SD-WAN that consolidates network functions like SD-WAN, WAN optimization, routing and security into a single software instance; all managed centrally from the Orchestrator. Easy integration with orchestration systems is provided via RESTful APIs. 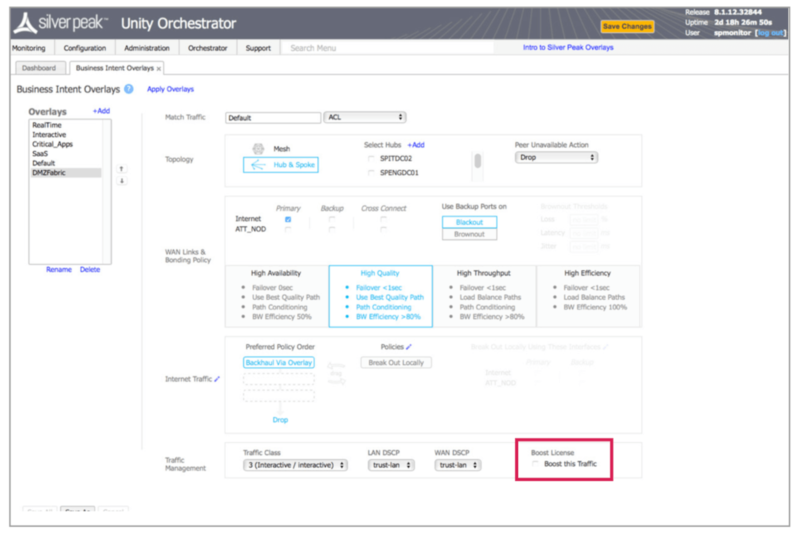 Figure 2: Visibility into optimized traffic and bandwidth savings from Orchestrator.